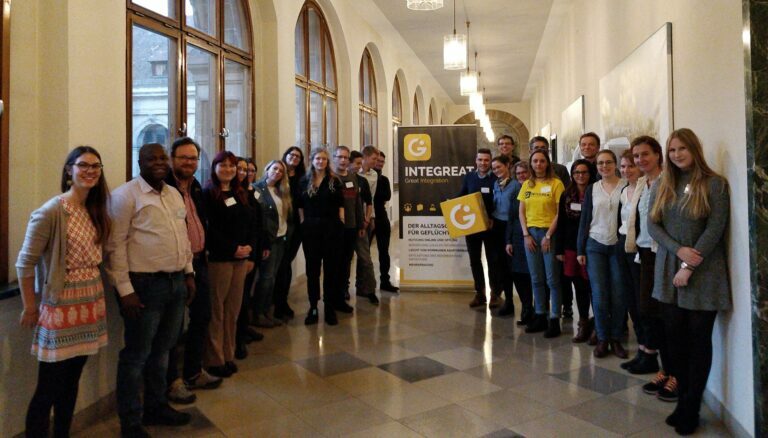 32 Integreat administrators from 22 different municipalities were present at this year’s Integreat Dialogue Forum on the 15th of November in Nuremberg. The exchange between the municipalities was the centrepiece of the conference and was accompanied by some input from the Integreat team. “How can the app be updated in the best possible way?”, “How can accessibility be implemented digitally?” or “How can translation costs be minimized?” The list of questions was long and there were many discussions on current challenges. After the Integreat dialogue forum took place for the first time in 2017 with 8 municipalities, we are happy about the rapid growth! There will be a 3rd Dialogue Forum in 2019 as well.